If you are considering challenging a will and/or recover misappropriated assets for a loved one’s estate, following the correct procedure is crucial. The goodfirm Vancouver Estate Lawyers know and understand the complicated procedures. In Naidu v. Yankanna (Estate), 2018 BCSC 878, a son and daughter started a court action to recover various real estate properties for their father’s estate. The claim was struck for failing to follow the proper procedure for challenging a will and recovering assets. The plaintiff son and daughter came with their father to Canada from Fiji in the 60’s. After their mother passed away, their father remarried and had two more children. Under their father’s old will, his prior children were made executors and the rest of his estate was to be distributed between all his children with his wife getting the remainder. Between the time the father made his first and second will, he acquired three properties and other financial investments. One of the properties was purchased solely by the father and later transferred into joint names with his wife as tenants in common. The other properties were jointly owned. The father and his new wife briefly separated for a period before reconciling and signing a marriage agreement. One of the terms was that one of the properties would be transferred into the wife’s name alone and she would be free to deal with the property as she saw fit. Shortly after, she transferred the property to her son. 16 years before his passing, the father transferred one of the remaining two properties into his wife’s sole name. At the time of his passing, the father was only on title to one of the properties. The father made second will 7 years before his passing which dramatically changed what would happen to his estate. His new will made his current wife executor and sole beneficiary of his estate. Upon his passing, the last remaining property passed to his wife by the right of survivorship since the property was held in joint tenancy. Unlike tenants in common, where a deceased person’s interest would pass to their estate, assets held in joint tenants pass to the other joint tenant and not through their estate. The plaintiff son and daughter started a claim to challenge the property transfers and second will on the grounds that the will do not adequately provide for them under section 60 of the Wills, Estates and Succession Act, SBC 2009 CH 13 and that he lacked capacity at the time he executed his second will. A second part of the court action was to reclaim the three properties for their father’s estate so when their father’s will is varied to include them, the properties would flow through the estate eventually to them. The defendants – the father’s second family – brought an application to strike the claim on the grounds that the plaintiffs had made procedural errors in bringing their claim to court. The court took issue with the procedure the plaintiff children followed. Firstly, although the Wills, Estates and Succession Act allows children and spouses to challenge a will, courts in BC have held that it is not proper to start a claim to vary a will at the same your are challenging a will because a will must be valid before it can be varied: Clark v. Nash,  B.C.J. No. 1655 and The Public Guardian and Trustee of British Columbia v. Johnston, 2016 BCSC 1388. The court held the plaintiffs had not shown the will is valid before starting a claim to vary it. Secondly, the Supreme Court Rules – Rule 25–14(4) require a person who wants to apply to prove the validity of a will to start by filing a notice of application if their is already a notice of dispute filed or other proceeding started in relation to the estate. If there is no proceeding started, a person must start a proceeding to prove the validity of the will by starting a petition under Rule 16.1. Because they did not start the claim properly, Mr. Justice Jenkins struck the portion of the plaintiffs’ claim relating to the validity of the will. Thirdly, certain portions of the plaintiffs’ claim were aimed at recovering the properties transferred by their father to bring them back into his estate. 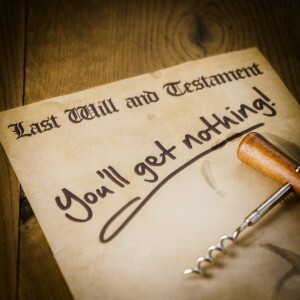 However, under section 151 of the Wills, Estates and Succession Act, SBC 2009 CH 13 a person seeking to recover assets on behalf of a deceased person’s estate must receive permission or “leave” of the court. Because they did not do so, Mr. Justice Jenkins struck that portion of their claim. Give the goodfirm Vanouver Estate lawyers a call for a consultation for challenging a will or recovering assets.